A kitchen has many people working all at once, but they all have their own responsibilities to make sure everything is working smoothly and food gets out to the patrons of the restaurant. You’re going to hear a lot of different titles mentioned in culinary school: Sous chef, junior sous chef, executive chef, line cook, pastry chef, and savory chef are just a few. In particular, you might hear that terms savory and pastry chef and wonder which specialty you would prefer. So, savory chef or pastry chef—which is best for you? The savory chef is similar to the sous chef. You are going to be working on the “hot” side of food prep in the kitchen, similar to a line cook who assembles a plate together for a customer. There needs to be a certain aesthetic you accomplish with all your finished dishes that is up to par with the restaurant’s standards, and that standard needs to be consistently accomplished. You’ll work under tighter time constraints than pastry chefs, and you’ll be a more crowded, noisier kitchen space. Bakeries and pastry workspaces need to be cooler in temperature to keep the ingredients from going bad or melting. Compared to a savory chef, a pastry chef needs to have a higher focus on detail and measurements, because of the precision baking requires. That means the training involved to become a pastry chef is going to reinforce this habit, and your work might take longer compared to other tasks in a kitchen. If you don’t like detailed measurements and want to be able to taste your creations while they cook, then savory chef might be the better of the two positions for you. 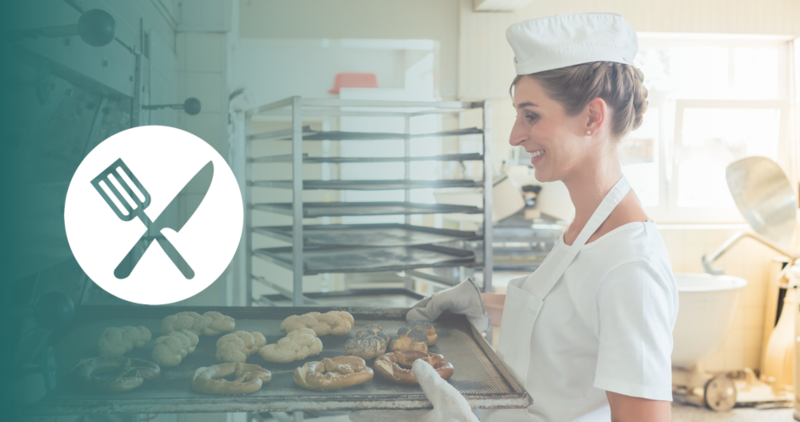 If you prefer to be very organized and want to work in the cooler (literally) environment of a bakery, then you should consider becoming a pastry chef. No matter what, at the end of the day, it should be a decision based on what makes you happiest and lets you earn a fulfilling career. Ready to start your culinary career? Get more information on the best culinary arts programs in your area by filling out the form on this page.